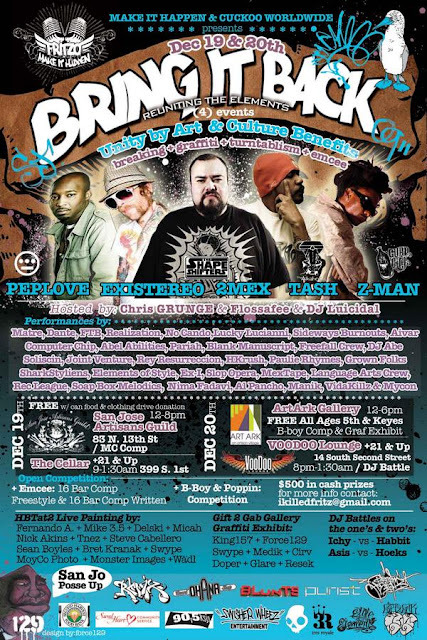 __Live Art painting with Epic and Z-Man at Bring it Back 09' show at the Voodoo Lounge in San Jose,CA with performances by Tash of the Legendary Alkaholiks who tag his name on my painting, 2mex, Pep Love, Existereo, Z-man, and more of SJ's finest. 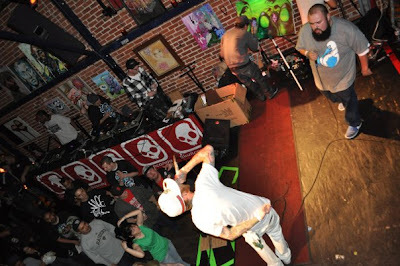 Now this is when I started officially touring with the band Realization and doing Live Art in every show. Here I did a piece of KungFu Vampire and sold it to this lovely couple at the show. I apologize for the camera phone pic on this one. 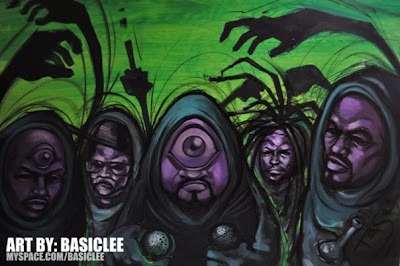 I wasn't too satisfied with this piece plus this pic makes it look worst. haha.